One of the happiest events at the Seminary is the ordination of its students. After four years of educational and life struggles, the moment of truth approaches and the student is asked to make the final commitment to Christ and His Church. Ordinations of seminary clergy usually either take place at the Diocesan Assembly at St. Innocent Cathedral in Anchorage or, if at the end of the school year, at Holy Resurrection Cathedral in Kodiak. 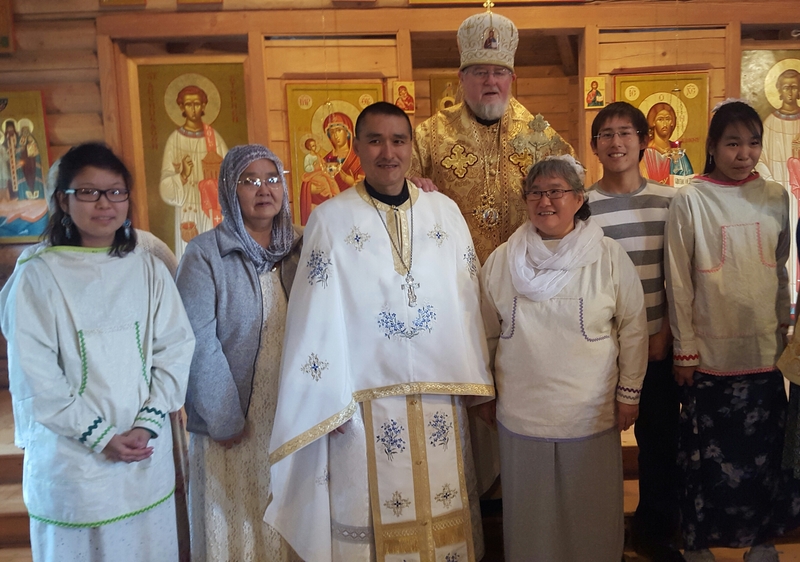 However, this year, on September 24 His Grace Bishop DAVID celebrated the Hierarchical Liturgy celebrating All Saints of Alaska (the patronal feast day of the Seminary chapel), ordaining Dn. Joseph Larson to the Holy Priesthood at the Seminary Chapel. Participating clergy were Fr. David Rucker (OCMC missionary and Instructor at the Seminary), Fr. Innocent Dresdow (Dean of the Kodiak Island deanery and rector of Holy Resurrection Cathedral), Fr. Jason Isaac (attached to Holy Resurrection Cathedral), and Dn. Methodius Nicori (4th year seminarian). Also serving were the following seminarians: Sdn. Luke Levi (4th year), Sdn. Herman Madsen (3rd year), and Sdn. Stephen Wood (1st year). The ordination was further celebrated in the evening with a lavish feast at the Refectory. Axios!